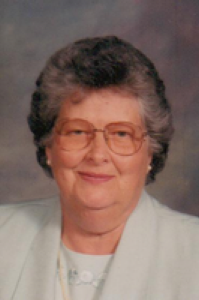 Emily Frances Vondenhuevel, 75, 1536 Miami-Conservancy Road, Sidney, Ohio died at Ohio State University Medical Center, Columbus, Ohio on Tuesday, September 1, 2009 at 11:55 PM of complications from an ongoing illness. She was born April 9, 1934 in Langley, Kentucky the daughter of John and Susie (Ratliff) Adkins and they preceded her in death. She was married on September 10, 1954 to Thomas J. Vondenhuevel and he survives along with three sons, Tom Vondenhuevel Jr. and wife Lisa of Sidney, Ohio; John Michael Vondenhuevel and wife Cindy of Titusville, Florida; Greggory Vondenhuevel and wife Tracey of Sidney, Ohio; two daughters, Rebecca Schmiesing and husband Fred of Minster, Ohio and Teresa Bailey and husband Rick of Piqua, Ohio; twelve grandchildren, Charity Ranley, Mikalea Vondenhuevel, Joe Vondenhuevel, Kate Owen, Adam Schmiesing, Rick Bailey, Ryan Vondenhuevel, Emily Vondenhuevel, Rachel Vondenhuevel, Kyle Vondenhuevel, Alex Vondenhuevel, Erik Vondenhuevel, three great-grandchildren, Sedric Ranley, Maddex Ranley, Madilyn Owen, two brothers, Wayne Adkins and wife Lula of Sidney, Ohio and John Adkins and wife Debbie of Sidney, Ohio and two sisters, Alice Isaac of Heborn, Kentucky and Willa Vaness of Logan, West Virginia; two sisters are deceased. She was a 1952 graduate of Maytown High School in Maytown, Kentucky. She enjoyed quilting, spending time with the children and grandchildren, loved to garden, birdwatch and cook. She was a member of Holy Angels Catholic Church in Sidney. She had worked at Fair Haven Shelby County Home in Sidney for 18 1/2 yearws as a supervisor. A Mass of Christian Burial will be held on Saturday, September 5, 2009 at 10:00 AM at Holy Angels Catholic Church with Rev. Dan Schmitmeyer. Burial will follow at Graceland Cemetery, Sidney, Ohio. Friends may call at Salm-McGill and Tangeman Funeral Home on Friday, September 4, 2009 from 4-9 PM. Memorial contributions may be made to Catholic Social Services, 1201 Fairington Dr., Sidney, Ohio 45365 or the National Kidney Foundation, 30 E. 33 St., New York, New York 10016. Envelopes will also be available at the funeral home.